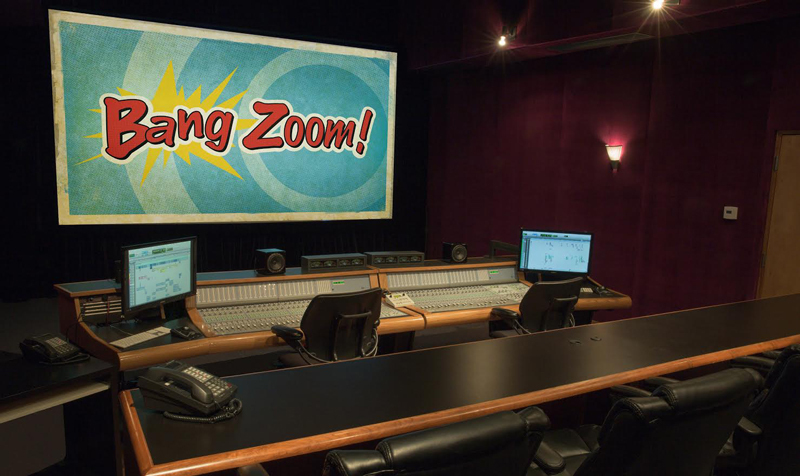 Our Emmy and Golden Reel award-winning engineers, experienced sound supervisors, sound designers and production teams are committed to making Bang Zoom! Studios your one-stop shop post solution. 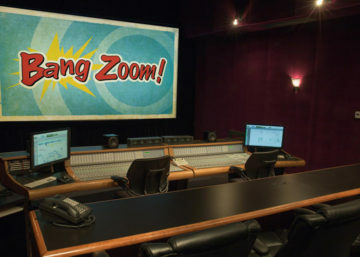 Situated in the heart of Burbank, California, Bang Zoom! Entertainment is an award-winning, full service and powerful audio and post-production company. With over 15,000 sq. 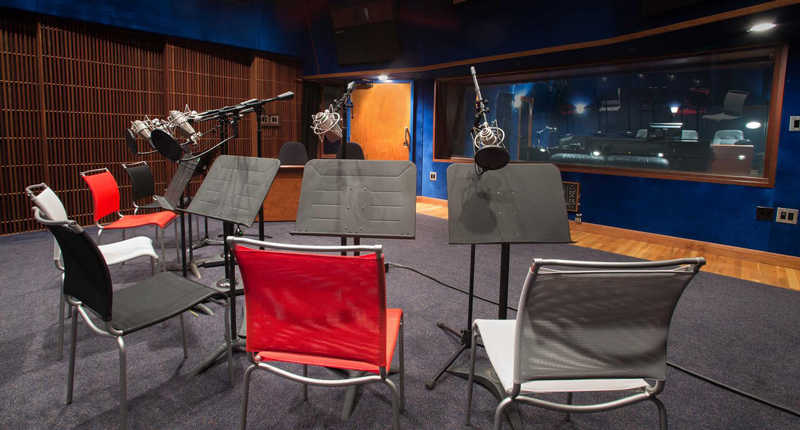 ft. of combined space, our facilities have seven ADR recording stages including a world-class spacious ensemble cast stage, two Foley stages, six edit bays, and four re-recording Dolby Certified mix stages with 5.1, 6.1 & 7.1 Surround Sound capabilities. 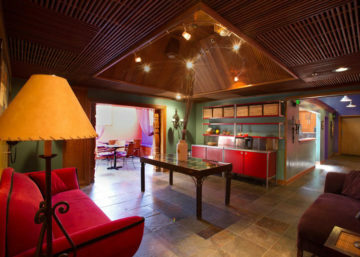 We will configure our facilities to meet the specific creative and technical needs of your project, all under one roof. Our personalized care for your project will remind you that you are at a boutique studio, while our capabilities often surpass those of a much larger facility. We are committed to bringing you the most comprehensive level of audio and video post-production expertise and service available. We look forward to working with you! Our award-winning Casting Directors are ready to match the very best talent to the unique needs of your project. 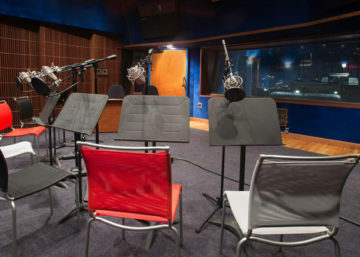 Top Hollywood Celebrity Talent as well as wonderful fresh new discoveries – from auditions to capturing mind-blowing memorable performances in the studio, we specialize in all things voice. We ♥ Dialogue and Voice Over! Our directors and engineers have worked on thousands of projects, large and small. 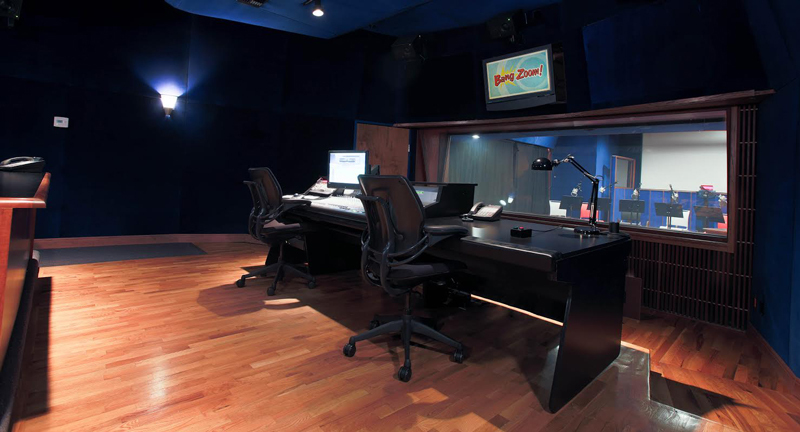 Bang Zoom’s over 20 years of experience, coupled with a passion to provide the very best audio experiences, makes Bang Zoom the number one choice for the most discerning producers. Our true passion for recording is found in everything that comes out of the studios. Second-to-none in the world for localization for any type of project. To us localization means adapting your creative project so that it seamlessly connects with a native audience. We embrace cultural diversity and our multilingual localization experts ensure that all aspects of the language as well as the culture are adapted with painstaking detail. We ♥ video games! And we do everything in our power to help you make yours a success. 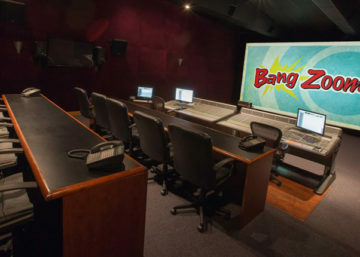 The team at Bang Zoom shares your passion for video games, and have more than 15 years of experience working on them. 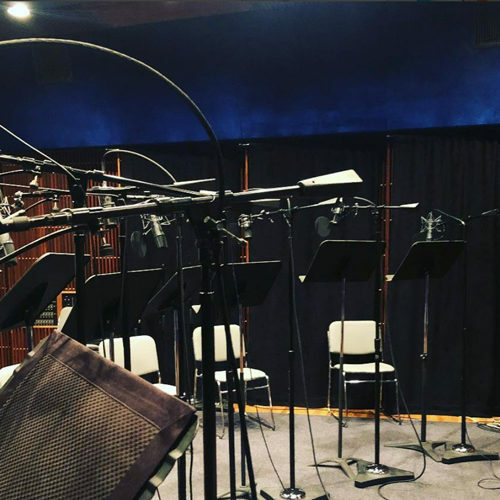 From casting and table reads, and capturing memorable performances in recording sessions, all the way to mixing, file management, delivery and implementation – we take the extra steps to make sure your project sounds phenomenal. Evaluation, preparation, and delivery of assets to a multitude of digital streaming services in a variety of formats. We’ll help you get your assets ready and delivered to all streaming services including Netflix, Hulu, Amazon and iTunes. 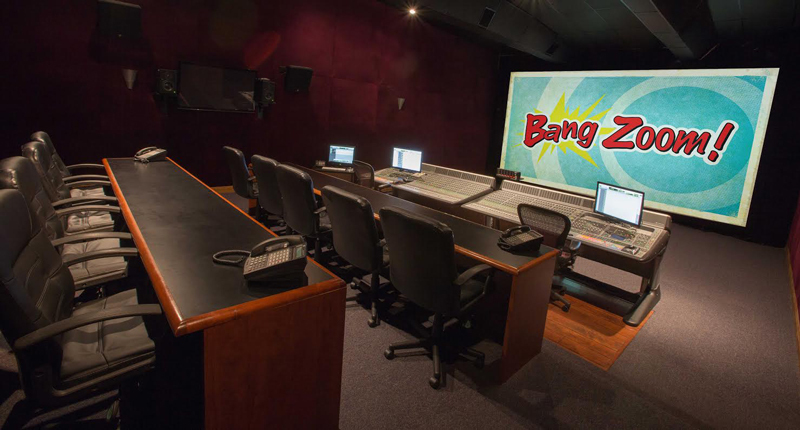 Bang Zoom is a Netflix Preferred Vendor for services such as Foreign Dubbing and Video Preparation. Our Emmy and Golden Reel award-winning engineers have vast experience mixing an extraordinary list of top Film and Television projects. From the highest network shows on TV right now to high profile original animation, commercials, and popular new media projects, our cutting-edge Dolby Certified mix stages with 5.1, 6.1 and 7.1 Surround Sound capabilities are second-to-none in Hollywood. Our audio team includes a top-notch group of editors, recordists, and mixers who are dedicated to truly bringing your project to life. Whether you need to record a voiceover or mix a feature-length movie, we are determined to make it sound amazing! From animatics to post, trailers, title sequences, sizzles and everything in between, Bang Zoom knows how to put it all together! Whether your shot needs the atmosphere subtly enhanced or a high octane explosion blowing up the frame, our team has the particle simulating, hand-painting, tracking and compositing skills to make it happen in any style needed. This often overlooked aspect of production is something we care deeply about – Posters, phone screens, tablets, computer interfaces and logos deserve to be classed up with some proper graphic design. We’ve got that covered and then some. 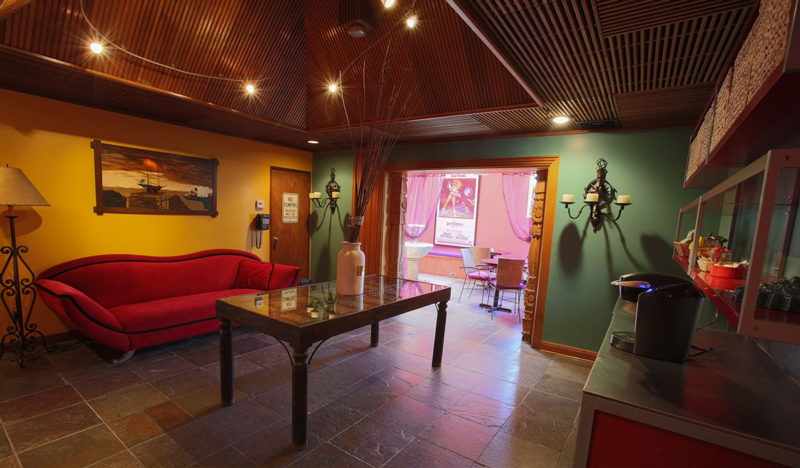 Our fully decked out rooms allow our colorists to accurately correct and grade any project to achieve the exact look and tone the story demands. From gritty realism to hyper-stylized we can handle it all deliver to industry standards. We are proud to call some of the greatest companies on Earth our clients! Check out images of our new studio where all the magic happens. Like the studio? Come and check it out for yourself! We’ve been in business for 20 years, and pride ourselves on producing quality projects in a state-of-the-art facility, while creating a family-like environment for our amazing clients. 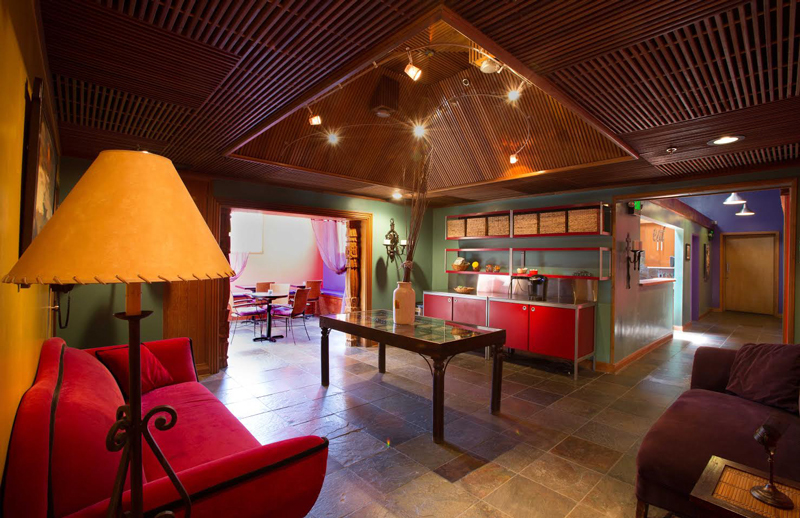 We want you to feel comfortable and right at home at Bang Zoom! And most importantly, we want you to know your project is the absolute highest priority for us. A stimulating assortment of coffees, teas, and yummy snacks, as well as menu selections from all of the best local restaurants. 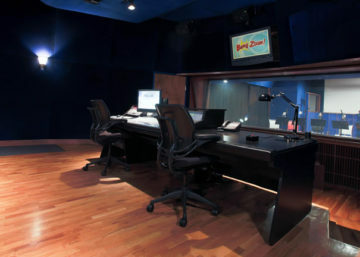 Comfortable studios that can fit up to 12 producers and an ensemble cast of up to 18 voice actors. 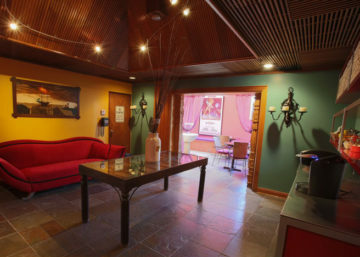 We are happy to help with transportation, lodging, and just about any type of arrangement you may need. Fill out the form below and let us know how we can help! Please, no scripts, story pitches, or solicitation. Thank you!